Towel fabric in fluffy quality for bath robes and such. We have several types in the store. Double woven terry cloth in grey. 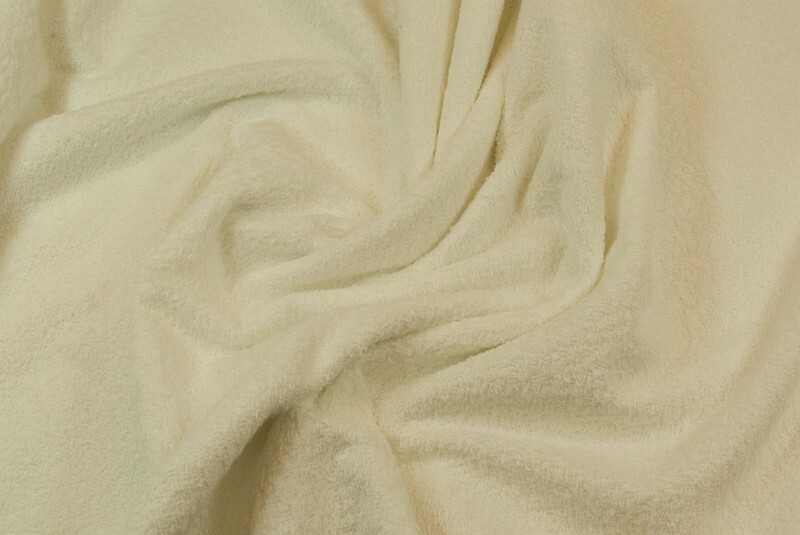 White double woven terry cloth.